Portrait drawing is something that all artists should learn. It forces you to capture what you see in front of you and to ultimately study human facial expressions. But learning to draw accurate portraits on your own can be tough. That’s why I curated this list of the best books on everything portrait-related. 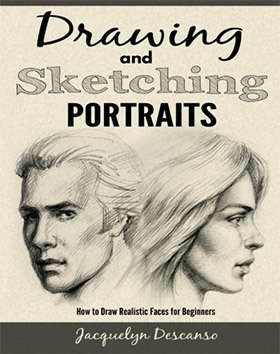 Whether you’re a complete beginner or a semi-experienced artist hoping to up their portrait drawing game these books are sure to prove useful. This is the newest portrait drawing book I know with a release date of March 2017. 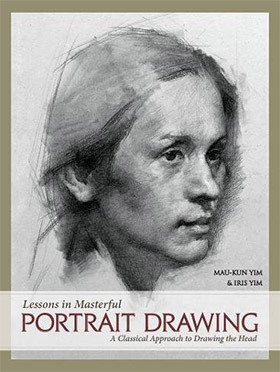 Lessons in Masterful Portrait Drawing follows exercises from the old masters and covers how they approached portrait drawing from scratch. 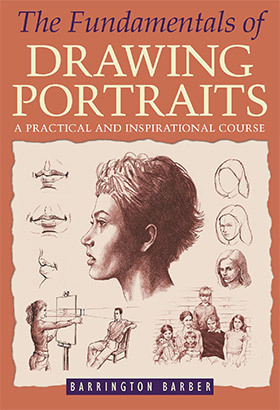 Over 144 pages you’ll learn the philosophies and methodologies behind portrait drawing. This includes tips for seeing the whole picture and focusing on the composition while also rendering the tiny details. Artist & author Mau-Kun Yim studied works of the old masters and she pours her knowledge into every page of this book. This is not a book on formulaic drawing. It’s a book covering how to see properly and how to draw what you see accurately. This is perfect for concept artists who want to improve their skills and render more believable artwork. If you seriously want to improve as an artist then you’ll want a copy of this book on your bookshelf. Secrets to Drawing Realistic Faces doesn’t so much cover secrets, but rather techniques that you can execute while practicing. There aren’t many secrets in the art world. Just different ways of doing things and approaching subjects. Portraits can be intimidating because of the details and the complexity of such a drawing. But this book uses tons of photo references and process shots of sketches to show what a portrait drawing might look like. I am a bit surprised this book doesn’t do much from life, and instead relies on photo reference. This can be good and bad depending on what you’re practicing. All artists should draw from life but there’s value in working from reference photos too. Overall a nice intro to the subject for beginners, although certainly not the complete guide to portraiture work. All stylized art forms like illustration and caricature require speed. These styles of art typically aim to express only what you need(or choose) to show. 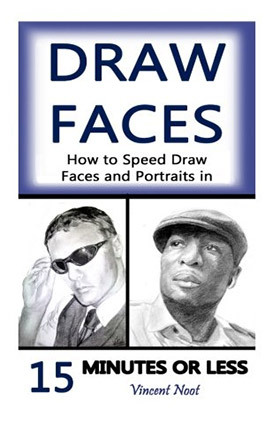 Draw Faces by Vincent Noot looks at portrait drawing from an illustrator’s perspective. The goal is to help you push through large volumes of work and build confidence in your ability to draw fast. If you can analyze properly and capture the most important features while sketching you’ll have an easier time simplifying these ideas for illustration work. One thing I don’t like is the small size of this book. It’s only 76 pages and feels like it could be more in-depth. But it covers a lot of techniques to capture a likeness fast whether from a photo or real life. Here’s another newer book written by professional artist Barrington Barber. He shares decades of experience as an artist covering tips for newer artists just learning the ropes. 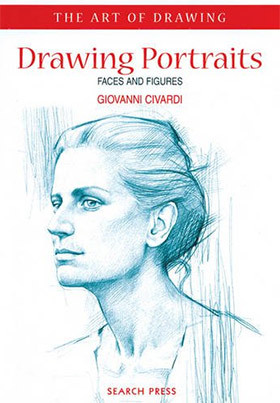 In his book The Fundamentals of Drawing Portraits you’ll get a 200-page guide to one of the most complex subjects out there. This guide features over 300 unique illustrations all created by Barber himself. 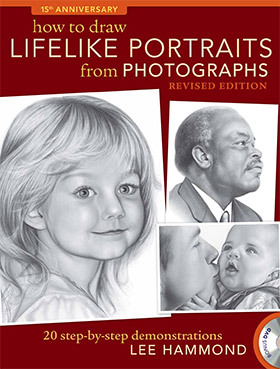 Each chapter shares tips & techniques for different subjects ranging from close-up portraits to family portraits, clothing choices, and rendering. Remember that no single book can actually teach you how to draw. That happens through practice and repetition. What this book offers is structured guidance with exercises to follow along your journey. 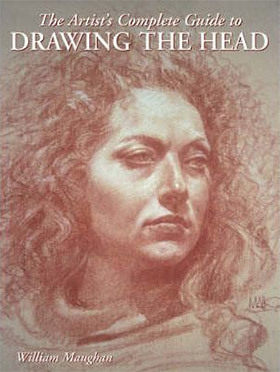 The Artist’s Complete Guide to Drawing the Head works well as both a realist portrait sketching book and as a resource for concept artists/illustrators who prefer drawing from imagination. This book is written by author and teacher William Maughan who definitely knows how to approach a subject cautiously. You should never feel lost during this book and it offers a bunch of concrete techniques you can apply to your own work. Most of the early chapters discuss the fundamentals of lighting, form, perspective, and anatomy. These topics are fundamental for a reason because they apply to all of your artwork. A lot of the tutorials here teach rendering with chiaroscuro techniques. If you struggle with rendering shadows then this book can offer a lot of advice. There is a lot to take away from all of Maughan’s writing so I think it’s worth studying once you’ve done a few self portraits on your own. If you want a pure how-to guide that teaches drawing in steps then you’ll want a copy of Drawing Portraits: Faces and Figures. This book is pretty small with only 64 pages and a few dozen exercises. But this is also a decent book for novices who are still trying to pick up the basics of drawing. I typically recommend an easier title to start with like Keys to Drawing because you’ll need some foundational knowledge first. But if you already practice regularly then you’ll have no trouble working through this book. And best of all the lessons are easy to repeat on your own with plenty to learn throughout the process. So beginners can use this as supplementary material for everything else they’re learning. Concept artists, illustrators, comic artists, and of course animators all need to design expressions for their characters. Models and reference photos help, but you’ll want to internalize this technique as much as possible. 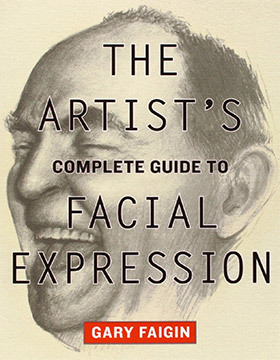 The Artist’s Complete Guide to Facial Expression stands true to its name with 288 pages full of tips, examples, and how-to guides for mastering facial expressions. It’s full of visuals and sample sketches to showcase what it means to design facial expressions from scratch. Unfortunately there is one big downside: the print quality. Many of these sketches look like clear reproductions but some are too light where you can’t see the boundaries between lights & shadows. All of the tips in this book are spot-on. And it’s one of the lengthiest books focusing solely on capturing facial expressions. But if the print quality puts you off then you might wanna pass on this title. When you practice realism you learn how life really looks and how to apply realist techniques to your art. This is why beginners should draw from life as much as possible. Drawing and Sketching Portraits by Jacquelyn Descanso is not a well-known book. 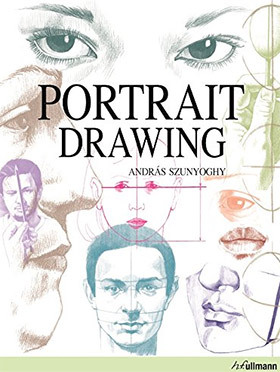 However it is one of the clearest intro guides for newbies who don’t know a thing about portrait drawing. It does help if you’ve been drawing for a while because skills don’t come out of nowhere. 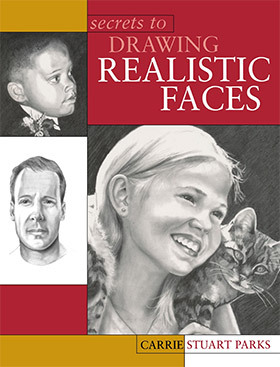 But this book is also a treasure trove of information on how to capture likeness and realistic features in any portrait. Jacquelyn does recommend working from life which is undoubtedly the best way to draw. However many of these techniques can apply to photo references too so this book offers a lot of variety. Once you get past the beginner phase and want to really challenge yourself pick up a copy of Portrait Drawing. This is very technical and will be tough for a novice. But the exercises still follow a step-by-step approach with the goal of teaching you new techniques for portrait drawing. With 200 pages and dozens of exercises you’ll learn how to design portrait constructs, make accurate measurements, and how to block-in rendering on any type of paper. These guided lessons will be most valuable to artists who have some background doing portraits. It’s really an advanced guide to portrait drawing with a focus on smaller techniques that make a big impact. Typically you should draw from life whenever possible and even do life drawing exercises when you can. But realistically this is not always possible so photo reference is the next best thing. How To Draw Lifelike Portraits From Photographs explains this process in detail for anyone struggling to capture portraits from a flat photo. Whether you’re using physical photographs or looking up references online, you can follow the lessons in this book and learn a whole lot in the process. Plus this book comes with video exercises to show you exactly what to do and what the final portrait might look like. Definitely a great book for learning to draw from reference and it’s a great skill to develop for any aspiring concept artist/illustrator. But all of these books really are fantastic and they each cover portrait drawing from a different angle. Take another look over this list and see if any specific titles pop out at you.